President Joan received word today that Allan Cayer has decided to leave Rotary to pursue other charity work. Rosemary thanked the members today for their volunteer hours on the Salvation Army Kettles on Saturday, 01 December. - 26 Dec and 2 Jan - no meeting. President Joan collected our happy and sad bucks today. Ian had the lucky ticket, but did not draw the joker. Our new member, Janine Parker was our guest speaker today. Janine spoke of the Ugandan Girl’s Education Project which is an initiative of the New Glasgow Club in Nova Scotia in which she herself was the lead. The population of Uganda is similar to Canada’s population of 36.3 million. Twenty million are under the age of 18 which means they need to be educated. Primary education is free in Uganda and the attendance rate is 81%. Secondary school attendance is 16 – 18% and parents have to pay for the tuition. In Uganda, boys get the nod to continue their education as is the case in many areas of the underdeveloped world. What happens to girls when they don’t go to school? Early marriage, as early as 12 years old, early pregnancy and HIV/AIDS to name a few. The Birere Secondary School, the school Janine has been involved with, has received help from Rotary International, The New Glasgow Club as well as many other clubs in Canada. They have built the Rotary Canada Hostel which allows 40 girls to live at the school to finish their education. They have built two water tanks and provided eco-stoves at the school. Birere Secondary School is now an accredited high school, a status they had been striving for. The goal of the New Glasgow Club is to provide scholarships for 20 girls annually. Janine shared her passion for this project and is hoping to continue her involvement with it now that she has moved to Ottawa. Well done Janine. This is a most impressive project. President Joan ended the meeting slightly before 1:30 pm. 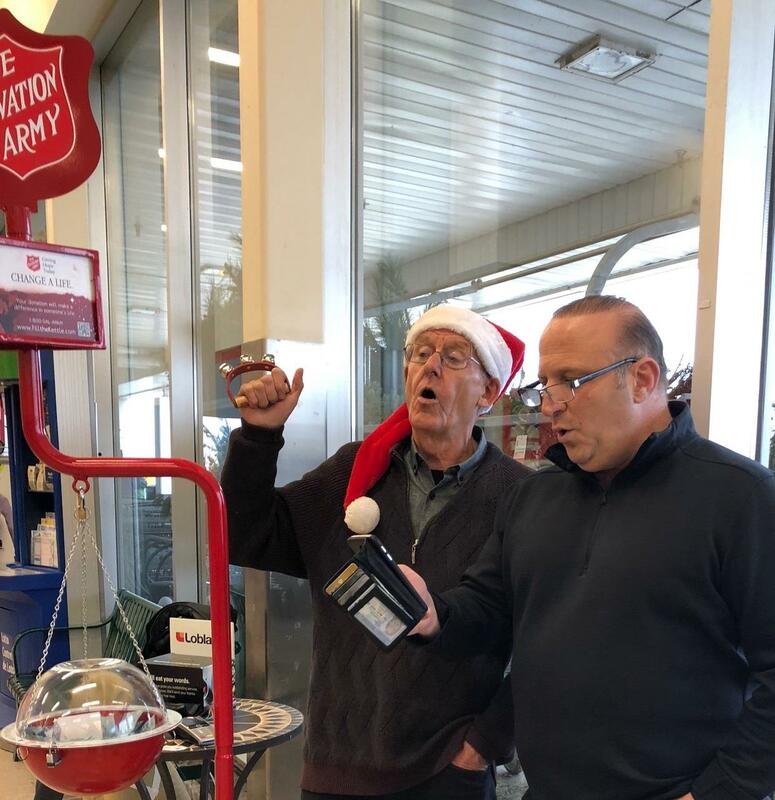 For many years the Rotary Club of Ottawa South has volunteered to supervise a Christmas Kettle in Ottawa's South-end for the Salvation Army. We've often been at Billings Bridge Shopping Centre and the South Keys Loblaws store. That's where we were this year on Saturday December 1, filled with enthusiasm and good cheer from 10am to 9pm. This year, the process has changed slightly so that each local Salvation Army church has a designated region, and manages the Christmas Kettles within that region. All proceeds raised stay in that region and help fund local initiatives, mainly as part of their family services. RCOS is fortunate to have member Rosemary Parker, who is also the Office Administrator for the Salvation Army Ottawa Citadel on Walkley Road. We worked in two-person shifts, making it fun time of camaraderie and reaching out to fellow Ottawans. Regardless of people's personal religion, everyone was receptive to the good work that the Salvation Army does and many were very generous. Thanks to RCOS members Gary Pluim, Sam Monsour, Luigi Maiorino, Alex Davidson, Joan Hunter, Mack MacGregor, Rosemary Parker, Jeff Sirs, Carlo Barille, and Scott Vetter.